Advantage Health Care is an Australasian healthcare business. Who's primary aim is to improve quality of life and make a positive difference, providing merit-based effective healthcare products for the well-being of its customers. The American Hospital is a private health institution within the Vehbi Koç Foundation. The American Hospital of the Vehbi Koç Foundation, which has been living in North American standards for 92 years, has played a key role in the development of the healthcare sector in our country, with doctors, nurses and health workers, diagnostic and treatment technologies, administrative systems and processes. The ethical approach and the confidence it has created has earned respect among doctors, nurses, all health professionals and patients. Femmax dilators can help with the management of Lichen Sclerosus, the ALSVH provides more information about Lichen Sclerosus and Vulval Health. Bio Medical Research Limited are a team of passionate creators and engineers who together, invent and design some of the most cutting-edge wearable technology in the world. BSI is a business standards company that helps organisations make excellence a habit; all over the world. Their business is enabling others to perform better. CommonwealthFirst has been established by the Commonwealth Enterprise and Investment Council (CWEIC) with a mission to encourage small and medium enterprises (SMEs) to trade and invest across the Commonwealth; a market comprising 53 English speaking countries with a combined population of 2.2 billion. De Smit Medical was founded in 2002 by Lyn de Smit, having worked in the healthcare industry for over 20 years previously. We are a Bristol-based sales and service centre having recently moved into new purpose built offices, with a national sales team offering comprehensive UK and Eire coverage. Successfully marketing to the UK NHS and private healthcare market we are also listed on the NHS Supply Chain National Framework Agreement for bladder scanners. We have an extensive web shop available for individual customers who are frequently referred to us for specialist products. DS Medical stock medical supplies for all stages of medical services, from first aid and first response equipment, training & education to diagnostics, patient handling and treatment as well as personal equipment and clothing. Edit.com is the easiest way to setup a website. If you need help then watch our video tutorials or contact our support team. G. M. Medical Solustions ia a medical device company who specialise in pain management and muscle rehabilitation devices. 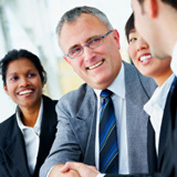 nternational Trade Council members are reputable businesses and individuals, operating in over 76 countries worldwide. In addition to its own member-base, the Council works with a wide variety of external groups to maximize areas of common ground and minimize differences. Investors in People is the mark of high performance in business and people management. Kegel8 offers a range of medically certified pelvic toners but for excellent service, support and advice online. Maxell Europe is part of the Hitachi Maxell group. Medilink UK is a national health technology business support organisation. The NHS Supply Chain and Supply Agency is responsible for ensuring that the NHS makes the most effective use of its resources by getting the best value for money possible when purchasing goods and services. Nova Medical Solutions offers and supplies innovative medical and healthcare based products. Pedihealth was founded in 1986 in order to meet the needs in the demanding child care health equipment market. In addition to the development of own products, Pedihealth started to import several high-demand health care products. The company also has supplied items to the world known Finnish maternal package. Pedihealth started to export products to the world markets in 2000 and opened up its online shop in 2003. Pelvic Floor Exercise is a specialist business run by PFLEX Pty Ltd which is owned by pelvic floor Physiotherapist Fiona Rogers (BPthy GD ExSpSc, Pelvic Floor Physiotherapist) and her husband Craig Rogers whose background is medical purchasing.